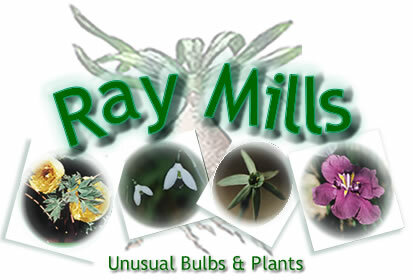 Thanks for your interest in my unusual plant collection. I offer a lot of plants that are generally not available at your local nursery, including a collector’s dream range of hard to get plants. Do you want something different for your garden? You'll find it here. There are over 500 different plants and bulbs in my collection. Please email or phone for price and availability.